International tourists surpass 9 million for first time. In the first eleven months of this year Vietnam welcomed over 9 million international tourists, a 25.4 per cent increase year-on-year and exceeding the initial 2016 target of 8.5 million, according to the General Statistics Office. International tourists from most foreign countries were higher. Those from Hong Kong increased 72.9 per cent, China 53.9 per cent, South Korea 39.2 per cent, New Zealand 35.4 per cent, Russia 29.1 per cent, Thailand 29 per cent, Italy 28.5 per cent, Spain 27.7 per cent, the Netherlands 23.5 per cent, and the UK 20.8 per cent. Over 7.5 million arrived by air, up 32.2 per cent year-on-year, 138,392 by sea, down 11.4 per cent, and 1.3 million overland, down 1.5 per cent. Domestic tourists totaled 57.7 million, with 27.1 per cent staying overnight. 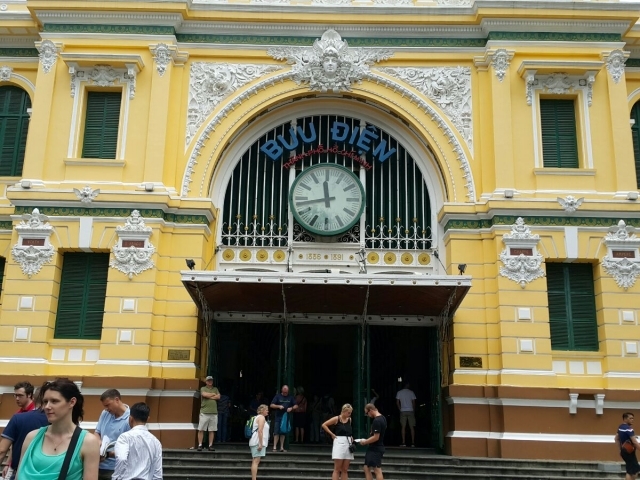 Total revenue from tourism was VND368.6 trillion ($16.2 billion), an 18.6 per cent increase year-on-year. Vietnam’s tourism sector has set a new target of welcoming 9.7 million international tourists and 62 million domestic tourists this year. Tourism revenue is to reach VND400 trillion ($17.6 billion), including VND230 trillion ($10.1 billion) from international tourists. International tourist arrivals in November are estimated at 926,642, up 14.1 per cent compared to October and 24.9 per cent year-on-year. Those arriving by air totaled 768,221, up 12.1 per cent, by sea 16,843, up 63.2 per cent, and overland 141,578, down 0.7 per cent. In the first ten months, international tourist arrivals stood at 8.077 million, a 25.4 per cent increase year-on-year. Over 6.77 million tourists arrived by air, up 31.1 per cent year-on-year, 121,549 by sea, down 14.9 per cent, and 1,178,764 overland, up 4.6 per cent. Most markets maintained stable growth compared to the same period last year, including Hong Kong, by 72.5 per cent, China 55.2 per cent, South Korea 40.1 per cent, New Zealand 35 per cent, Thailand 30.8 per cent, Italy 30.3 per cent, Spain 27.3 per cent, Russia 27.1 per cent, the Netherlands 24.2 per cent, Sweden 22.3 per cent, the UK 21.7 per cent, and Germany 18.5 per cent. Domestic tourists totaled 53.3 million in the first ten months and at that time the initial annual target of 60 million seemed certain to be exceeded. Total revenue from tourism was VND331.5 trillion ($14.8 billion), an increase of 19.1 per cent year-on-year. In October international tourist arrivals were 812,017, a fall of 0.1 per cent against September but 23.2 per cent higher year-on-year. With one month remaining in the year a number of cities and provinces have estimated their total annual tourist numbers. Da Nang is becoming a star performer, with an estimated 5.5 million tourist arrivals, or 107.2 per cent of the annual target. Of these, 1.66 million were international tourists, an increase of 31.6 per cent compared to 2015, while domestic tourists totaled 3.84 million, up 12.5 per cent.